**We get a free copy of this book to review but that does not influence our opinions. The review is our honest opinions. The author or publisher is not responsible for the content of this review. 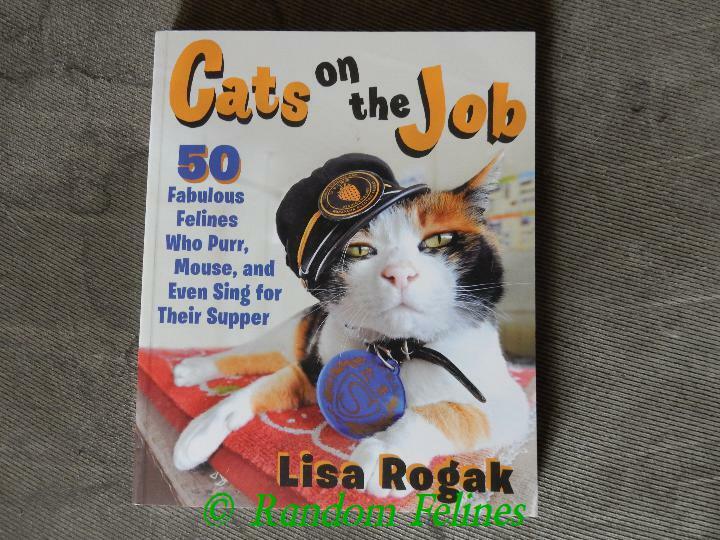 Cats on the Job by Lisa Rogak is adorable. The pictures are full color and bring the stories to life. 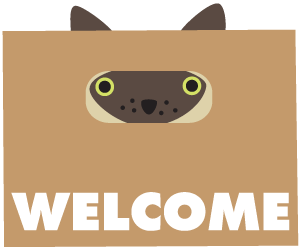 Each cat has 2-4 pages with pictures telling their individual stories. From security guard to fosters to helping children, each cat is unique. Some were adopted from shelters for their specific jobs while others just happened into their positions. There is a police cat from Japan, a guard cat working for Maker's Mark in Kentucky, a firehouse cat in New York City (you can follow him on Instagram @carlow_fdny_cat), and there are cats helping kids overcome autism and diabetes. This particular cat took on puppies from a new Rottweiler mom and raised the survivors as her own. The book is a quick and easy read. And wonderful to see how cats have once again adapted to our world. 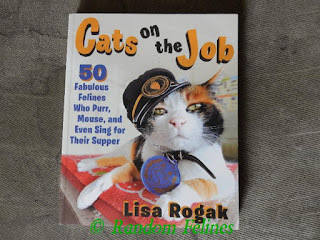 What a wonderful way to think outside the box for rescues and shelters as a way to market their cats for "real world jobs". And a lot of these cats were adopted from shelters according to their stories. Mom loved the book and is seriously considering buying one for the kid (her niece) for Christmas...and maybe for a couple of cat loving friends. We hope you considering getting a copy and enjoy it as much as we did. I'll look for this book at my book store! But why aren't my cats 'working' for a living? Lay-abouts! That does look like a great book especially as a present for someone. Good review. I hope they do volume 2 - and I get to be in it! Kitty About Town is a job description, isn't it? That looks like a really fun book! 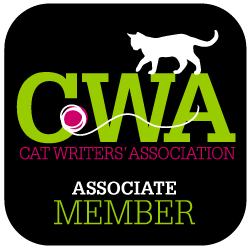 Our cats that blog have jobs, right? 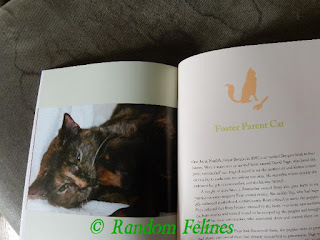 I loved this book, it is the perfect gift for cat lovers.